Dr. Hassoun accepts the following list of insurance providers. Select your insurance provider to see more details. I am a board-certified hematologist/oncologist with a special interest in plasma cell dyscrasias — a group of disorders that includes multiple myeloma, amyloidosis, light chain deposition disease, POEMS syndrome, and Waldenström’s macroglobulinemia. There have been tremendous advances in this field over the past decade, and several new drugs are available or in development to manage these conditions. With my colleagues at Memorial Sloan Kettering Cancer Center, I have focused on developing and optimizing new approaches to treat these diseases, including both new drugs and new strategies to improve patients’ outcomes. In multiple myeloma we currently have several clinical trials that are addressing important questions in patients who are newly diagnosed and have never been treated to better define the role and timing of autologous stem cell transplantation. We are also conducting several clinical trials in patients whose disease has recurred after initial treatment in order to develop new drugs that would be effective against the disease. Likewise, in the field of amyloidosis and light chain deposition disease, we are currently testing the role of a comprehensive treatment that incorporates autologous stem cell transplantation preceded and followed by more conventional therapies. We are hopeful that this comprehensive treatment will allow optimal control of the disease. I also have a particular interest in thrombotic complications (blood clotting) that occur in cancer patients and in patients receiving chemotherapy. We are trying to develop prophylactic strategies to decrease the frequency of these common complications in cancer patients using old and newer blood thinners. 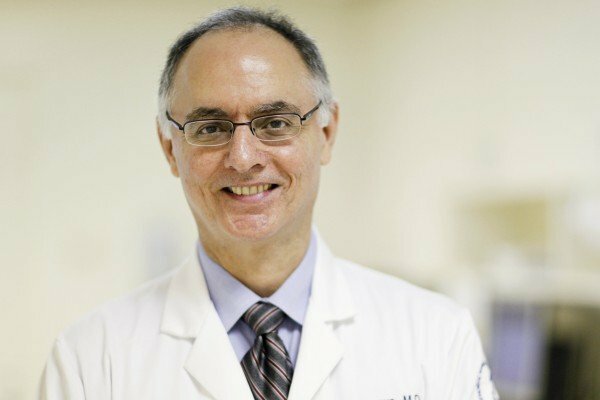 Visit PubMed for a full listing of Dr. Hassoun’s journal articles. Pubmed is an online index of research papers and other articles from the US National Library of Medicine and the National Institutes of Health.